Low-quality unauthorized generic versions of approved MS drugs can expose patients to danger, both through their toxic properties and a lack of efficacy that allows the disease to progress, researchers reported in the study, “Clinical implications for substandard, nonproprietary medicines in multiple sclerosis: focus on fingolimod,” published in the journal Drug Design, Development and Therapy. The investigation focused on Gilenya (fingolimod) and its generic versions on markets worldwide to exemplify the crucial differences that can exist between approved and unauthorized MS drugs, and how these gaps can affect patients. As a drug patent expires, manufacturers are free to produce generic versions of the medication — a regulation allowing for lower-cost treatments. Under U.S. and European regulations, as well as those of the World Health Organization, these drugs need to adhere to the same quality standards that were imposed on the original drug, making unauthorized copies a problem concerning mainly patients outside the U.S. and E.U. In an article authored by an international congregation of scientists, and funded by Novartis Pharma, the developer of Gilenya, researchers detailed the concerns surrounding drugs on less regulated markets. Studies show that in areas such as Asia and Africa, poor-quality generics can make up 40 percent to 50 percent of the available drugs. Drug manufacturing is a complex process, and a failure to adhere to what is known as good manufacturing practices can introduce numerous changes in a medicine. A lack of control over drug manufacturing can also allow for straight out frauds, where a drug entirely lacks the stated active pharmaceutical ingredient. Fingolimod serves as a prime example of what might go wrong when manufacturing is not tightly controlled, because a toxic compound, capable of inducing gene mutations, is used during the synthesis of this drug. If the process is not well-controlled, the toxic substance can remain in large quantities. Because fingolimod is also an MS drug that people take every day, year after year, such a chemical would likely increase the risk of cancer. In the trademark drug, as well as in authorized generic versions, these substances are properly handled. But if produced with a lack of quality control, a potentially toxic line of fingolimod could reach patients. So far, fortunately, this is a hypothetical scenario, as high levels of genotoxicity in generic fingolimod has not been reported. Nevertheless, other key concerns exist. An earlier review comparing 11 different fingolimod copies to Gilenya showed that the active pharmaceutical ingredient — that is, the fingolimod molecule itself — failed to meet quality standards in each generic version. In addition to the active ingredient, a drug contains various substances that aid the active ingredient in its work, affecting both the drug’s stability and features related to its behavior in the body. Inasmuch as these substances bolster the drug’s overall effectiveness, low-quality additives bring it down, even altering properties of the active ingredient. Studies have demonstrated that poor-quality additives can affect both the safety and desired effect of a drug. In a test of an unauthorized fingolimod generic, performed by Novartis, scientists found signs of degradation almost three times as high as the trademark drug, even though the generic was tested 19 months before its stated expiration date. Such an early breakdown makes it impossible to guarantee the drug will be effective, and patients face the risk of early disease progression. The analysis also showed that one impurity was found in levels 14 times higher than the permissible levels in Gilenya, and nearly eight times higher than international regulation permits. 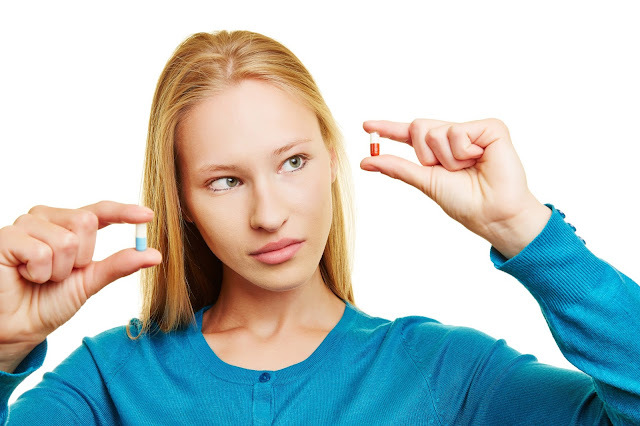 In addition, the generic’s quality differed widely across batches, a big no-go in good pharmaceutical manufacturing, where the quality and consistent quantity of each ingredient in each capsule is a firm principle. While it might be tempting to believe that large financial savings can be realized by using cheap generics, low-quality or unauthorized drugs often increase costs in the long term due to a lack of efficacy and potential health risks.